For those of you who still rely heavily on Microsoft Office (Word, Excel, PowerPoint, etc…) you might be interested to learn that a new version of the software is coming. And the new 2010 version of the Office suite will be heavily based on web integrations and applications! 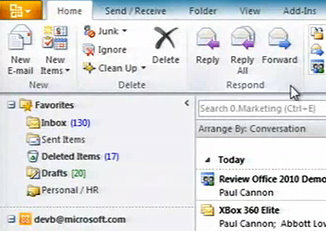 According to MicrosoftFeed.com, Paul Thurrott, from WinInfo has confirmed that Microsoft plans to release Office 2010 on June 15 2010. Commenting in his weekly article he said “Office 2010 for Windows, meanwhile, will become generally available June 15, 2010″. Microsoft Office is the flagship product of Microsoft as whole. The software has come under massive competition from web based office solutions – most notable from the Google Apps suite and enterprise solutions.